Seen from the video. 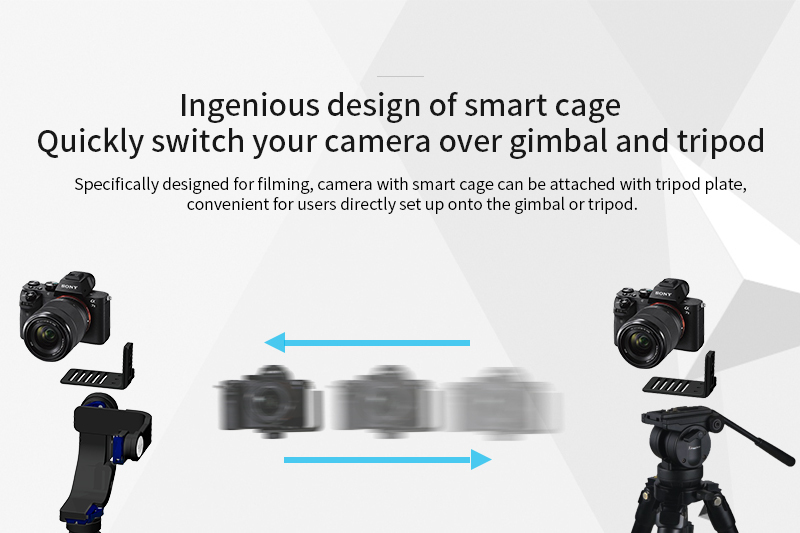 The camera cage design is very unique, installation is very convenient, camera cage can be installed directly on a tripod, and then with a cage in the camera installed on the gimbal. 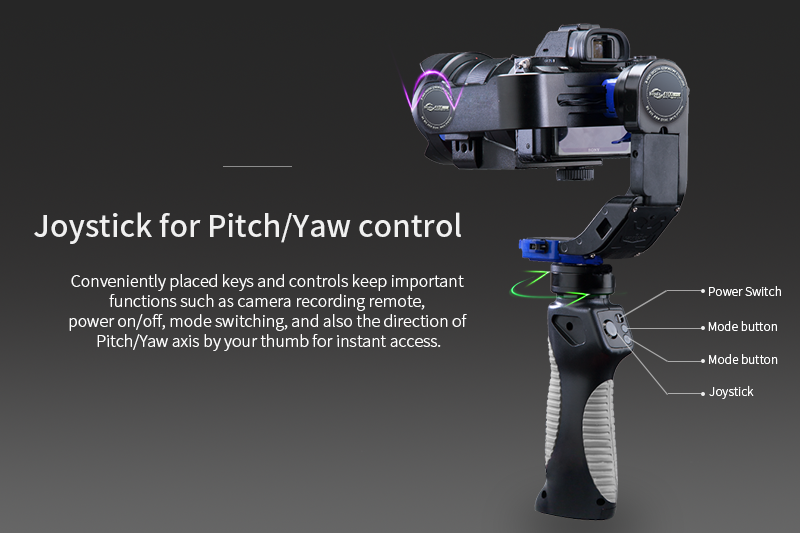 The switch is really very convenient, looking forward to this new gimbal. In my experience, it has been a NIGHTMARE dealing with this company for a return / repair when I received a faulty Nebula 4000 last year. After unsuccessfully trying to deal with them for a return or advice on a repair for MANY MONTHS (they don't appear to have someone in the company who speaks fluent english), frustrated and discouraged, I posted on some forums to warn people, and a representative from Nebula even publicly responded to to me about my issue asking me to get in touch directly, which I did, and they proceeded to ignore all my direct messages. Before that, the only fragmented english answer I had ever received from the company was that I would have to pay to ship the item back to China on my own dime (FilmPower - a 'San Francisco' company? Hardly.) - I'd have to wait for up to 2 months (AFTER INTERNATIONAL SHIPPING TIME) for their team to assess the situation, THEN they would decide whether or not to send the repaired unit or replacement unit back. All in all, I'd expect it to take 6 months and cost me over $100 in shipping, at LEAST, for an item that I paid good money for that arrived at my door faulty. Sorry for the rant, but I feel compelled to give the heads-up to anyone thinking of buying a product from this company, whom I chose over competitors because the company stated it was located in 'San Francisco'. It is NOT. At best, maybe they have a warehouse there for quick shipping to north america. In the end, without getting any answers from FilmPower, I discovered a replacement motor myself (iPower 150T for anyone interested) and ordered it myself (on ebay $40) and now I'm going to rewire the Nebula myself (I might even abandon the 8bit board altogether now and go for a 32bit AlexMos). If I'd just built my own stabilizer from the start, I could have saved over $400 and a year of aggravation and disappointment. Unless this company turns their customer service around 180 degrees, I personally can't recommend that anyone buys their products at this time. TLDR: FilmPower claims to be in San Francisco, sold me a faulty Nebula, wants me to jump though hoop after hoop and have me pay money out of my pocket to get the issue resolved via CHINA. Possibly bad QC, definitely bad customer service. Nebula 4000 is my first gimbal device. I bought it to use with my Black Magic Pocket Cinema Camera. Set up was easy after watching the video that is online and took about 20 minutes. Once you get it balanced the first time, it only takes a few minutes after that unless you drastically change the set up. Later I used other cameras, sony a7s and sony a6000. Since there is no adjustment parameters, so the effect is not very good. I don't know how to use simpleBGC, so I visit Filmpower website and find the support. I have sent email to them. And they reply me soon, although their English is not very good, but they are very careful to tell me how to operate, step by step taught me how to use the software, thanks very much for their staff. 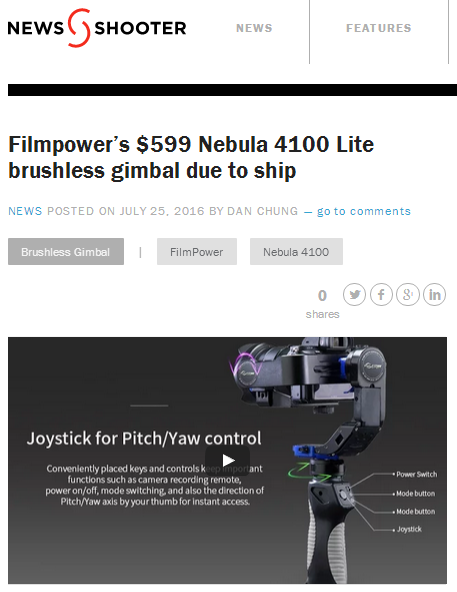 From the video, Nebula 4100 effect is good, expect to have more information about the gimbal. If the performance is better, I will consider to buy one. 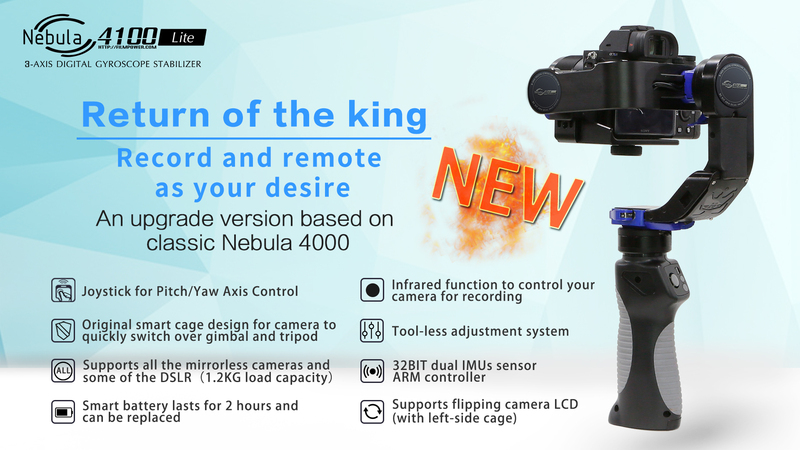 The Nebula 4100 is one of Filmpower's newest models and released in July 2016. The Nebula 4100 supports all of mirrorless Cameras up to 1.2kg max payload. 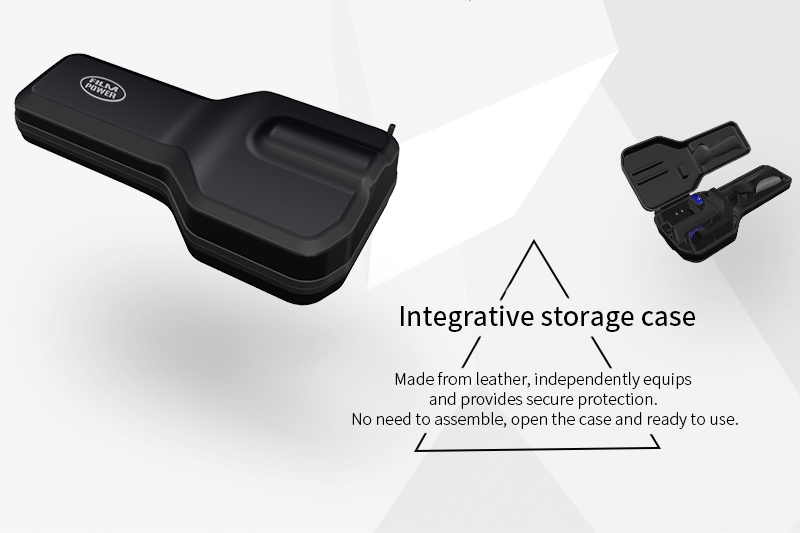 A cage for your camera to quickly attach/release is added. A camera with a cage can be used separately to install with other accessories such as tripod. 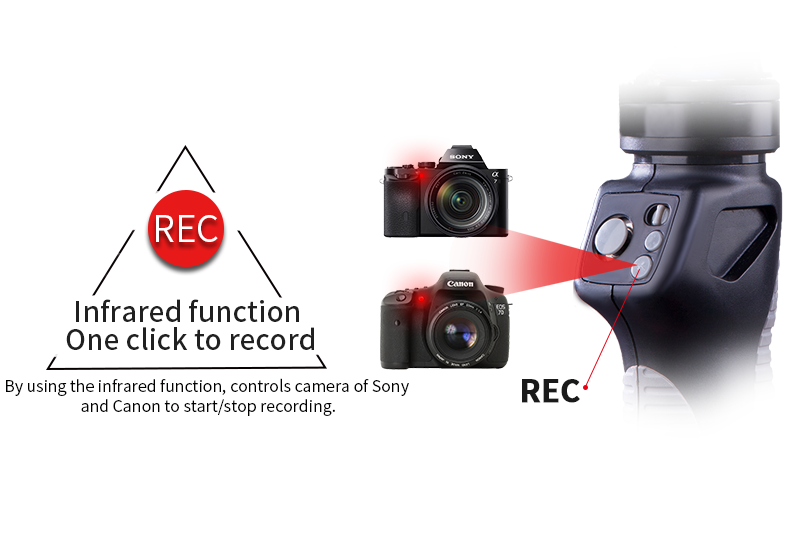 And if your camera has a built-in infrared camera you can control your camera to record through Nebula 4100’s button. 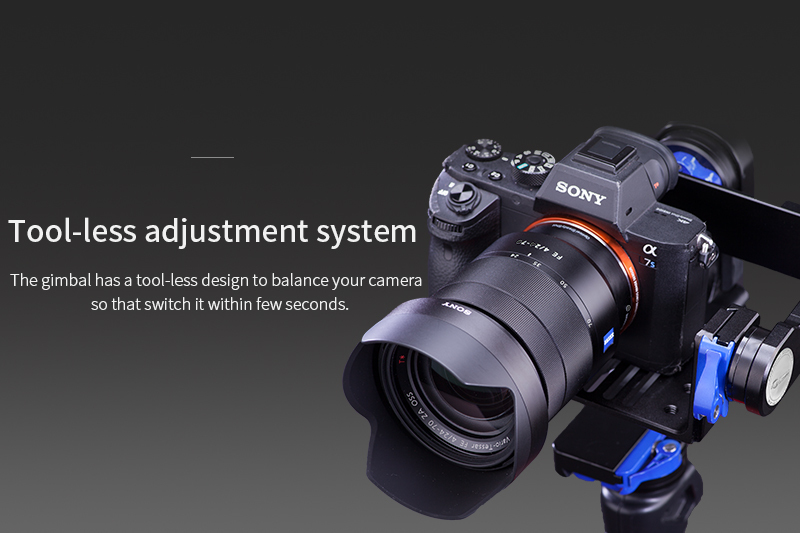 A tool-less balance adjustment and joystick for pan/tilt axis control gives users a simple and convenient experience. 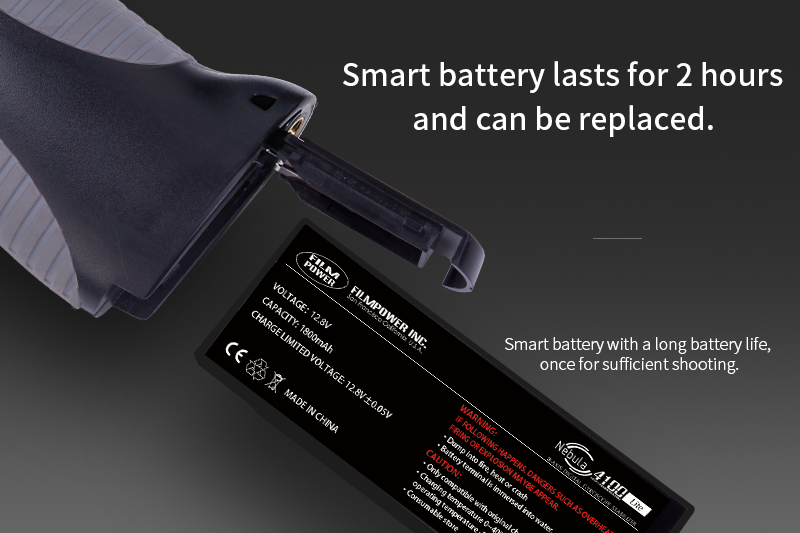 Also, the gimbal smart battery lasts for 2 hours and can be replaced, you can imagine battery life would be better with the short run time. When using a professional standard stabilizer, precision high speed processors are necessary. 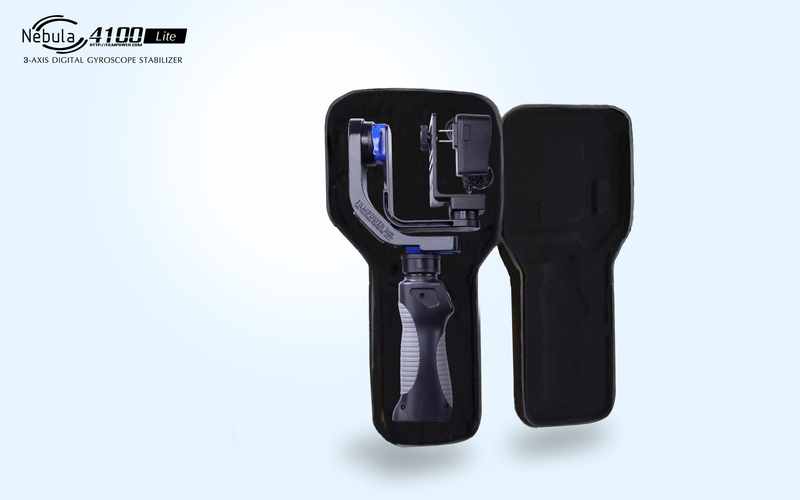 Thus as the pinnacle of single-handheld stabilizers, the Nebula 4100 is built on a 32 BIT dual IMUs sensor ARM controller. 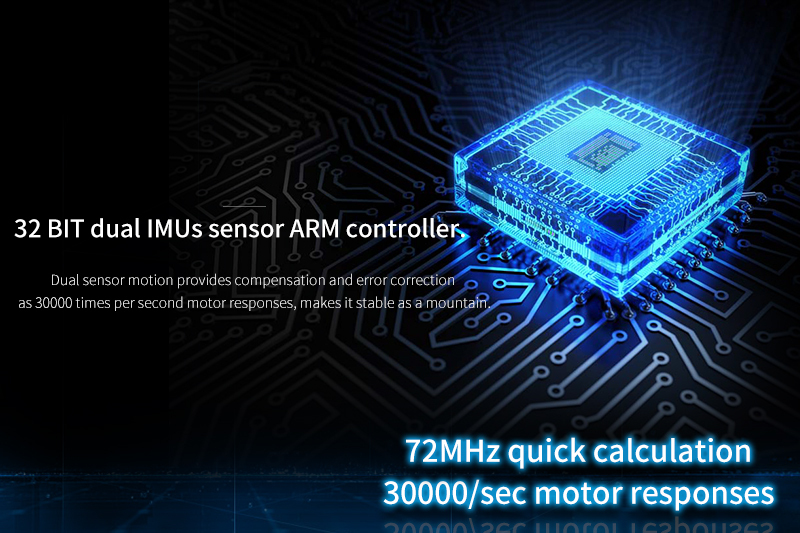 Dual motion sensors compensate error correction 30000 times per second making it extraordinarily stable. 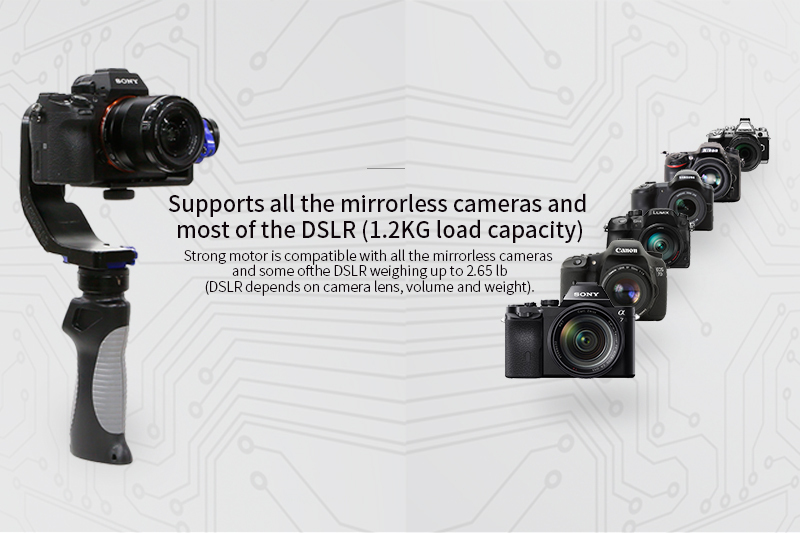 The strong motor is compatible with all mirrorless cameras and some DSLRs weighing up to 2.65 lb (DSLR depends on camera lens, volume and weight). 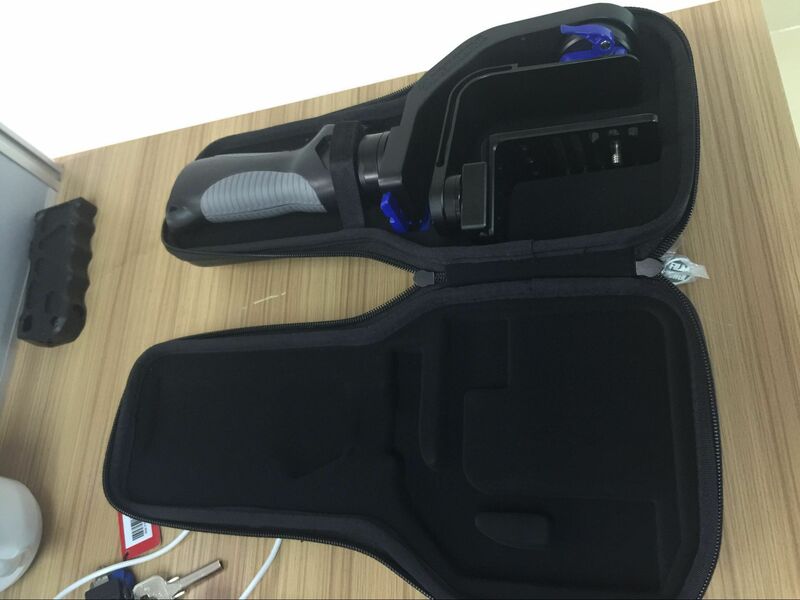 Storage case specially designed for Nebula 4100, not only does it protect gimbal, but also convenient to carry. Elegant in texture with integrative structure, plays a more general sense and quality feel. 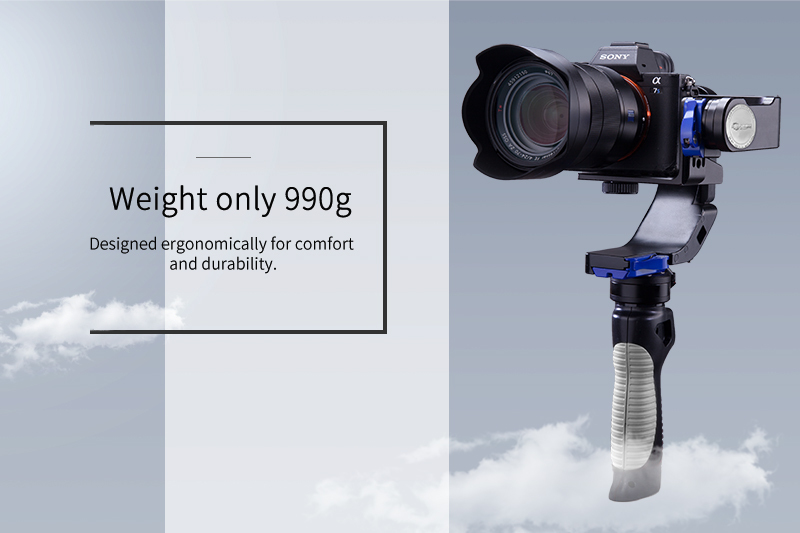 Specifically designed for filming, camera with smart cage can be attached with tripod plate, convenient for users directly set up onto the gimbal or tripod. Enjoy filmmaking for just a step ahead. 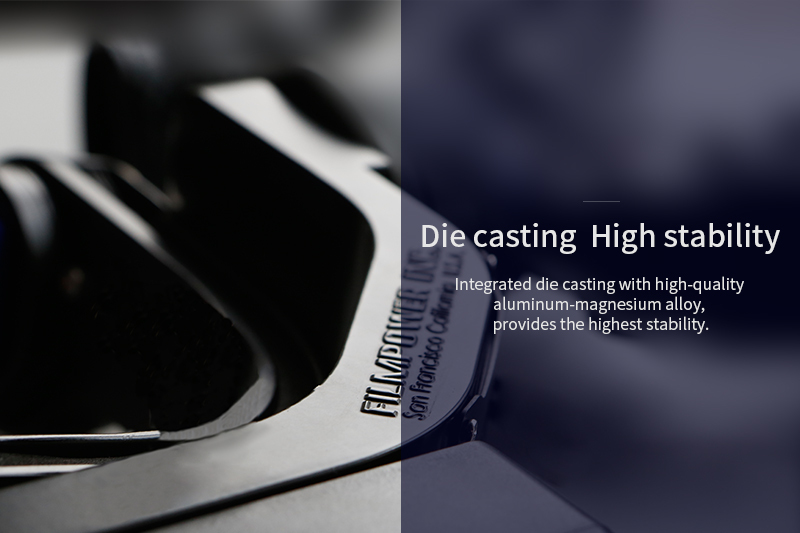 Same as Nebula 4200, through proper design and integrated die casting with high-quality aluminum-magnesium alloy, it is easy to optimize the strength and rigidity of machine parts which makes Nebula 4100 much lighter and tougher than stabilizers produced by traditional CNC technology. This is the photo out of factory: Nebula 4100 with storage case. New products coming soon, please stay tuned to learn morn information. Nebula 4100 stability test, from the video, the gimbal looks smooth while raising, falling, spinning. Looking forward to more videos. 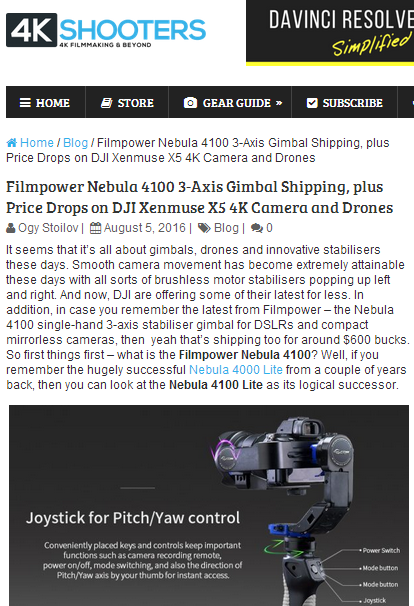 Newsshooter report the news about Nebula 4100 has been released. 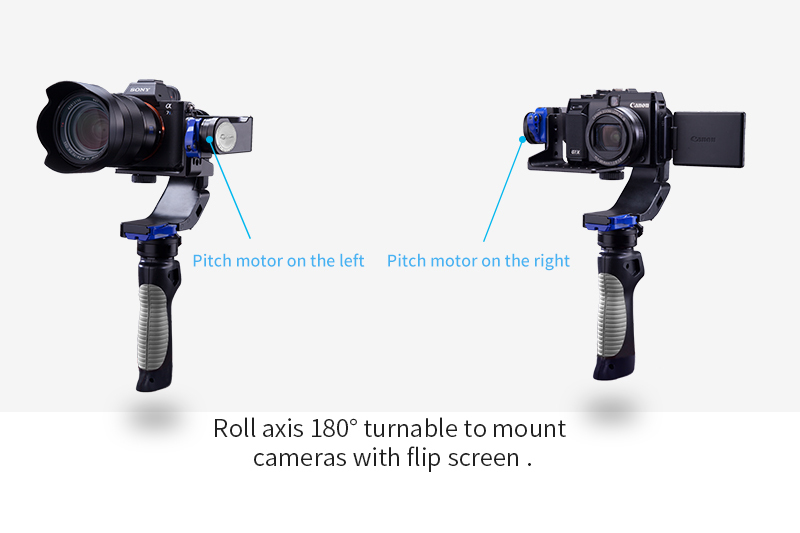 a gimbal is on my to-buy list since years...I finally have the extra cash but now the question is which one? 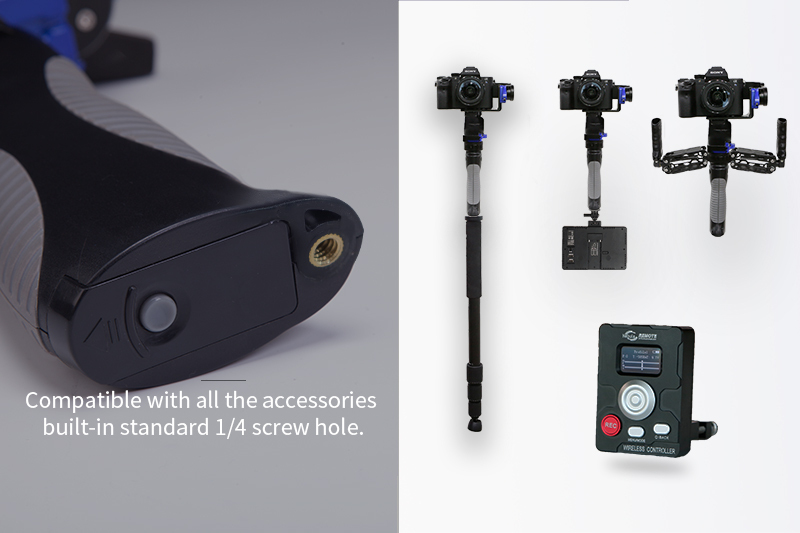 the Nebula gimbals look pretty good but which model is most suitable for my Sony a7rII / a6300 with Zeiss Batis 2.8/18, Sony 1.8/55 (I can only imagine my GM 24-70 would be too big?) lenses? Oh, almost forgot: I have a GH4 too with metabones adapter and Sigma 18-35...which gimbal would you guys recommend me? thanks for any tips! I got Nebula 4100 from manufacturer for test. I made small test only with Samsung NX300 and NX500. 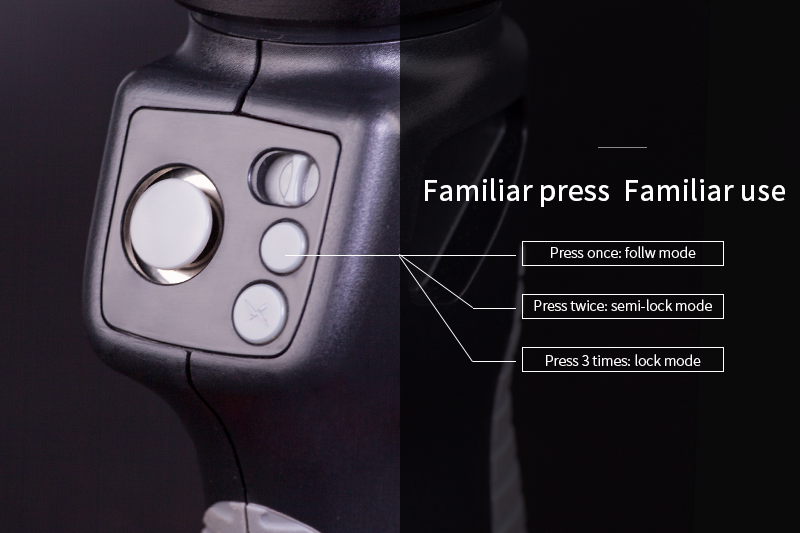 Gimbal works, but it has some shortcomings. I'll try it with bigger lenses and cameras later. Most probably it will require adjustable macro rail (looks like QR), as platform adjustment range is quite small. This video tell us how to use assistant APP of Nebula 4100, which is very very useful. I am looking forward more teaching video like this. 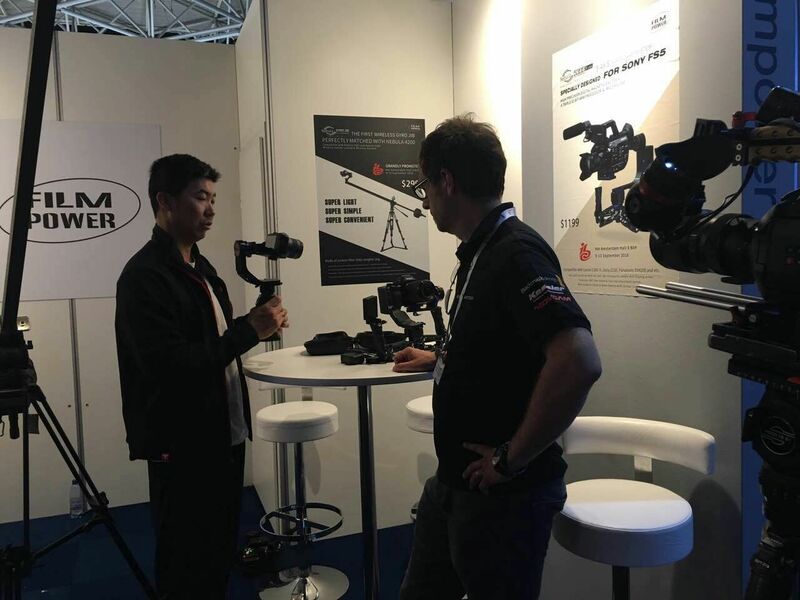 At IBC 2016, Filmpower was interviewed by Newsshooter about the new release of the Filmpower Nebula 4100 - 3-Axis, Handheld Brushless Gimbal Stabilizer.